Evelina and her family were very sociable this Sunday at intermission and after church. But today’s entry is most notable because it’s the last one in which Evelina mentions Orinthia Foss (at least for the diaries we have.) Orinthia was a twenty-year-old schoolteacher from Maine who boarded with the Ames family for a time in 1851. She and Evelina got to be great – and sometimes mischievous – friends despite their age difference. After Orinthia moved to Bridgewater to teach, the friendship faded. Yet the two women remained companionable on those occasions like today when their paths crossed. Orinthia would not remain in Massachusetts much longer, although we don’t know for certain when she returned to Maine. We do know that by the end of the decade, she had married a widower named Dana Goff, a railroad conductor living in Farmington, Maine. With that marriage, she gained a teenage stepdaughter, Julia, and soon became a mother of her own two boys, Herbert Dana and Ralph. Like other mothers before her, she had the sorrow of losing Herbert Dana at an early age, but was able to raise Ralph. Around 1880, the Goffs moved to Auburn where Mr. Goff became a real estate agent. By 1910, Orinthia was a widow living with her younger sister, Florida (or Flora) Foss Hill in Auburn. She died in Newcastle, Maine, of heart disease, when she was 84. 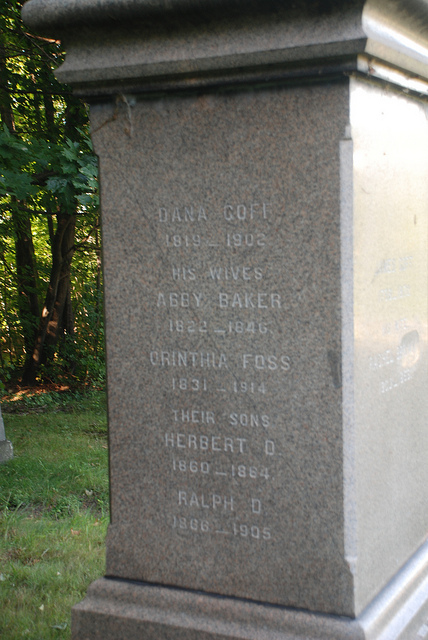 She is buried in the Goff family plot in Auburn, Maine. putting draws & closets in order. For Evelina, this was a productive day. Her servants, Ann Shinkwin and Catharine Murphy, cleaned the shed and the sitting room, while she herself reorganized “draws & closets”. She must have felt quite satisfied having put two key rooms in order. Come evening, she and her husband went next door to tea where they visited not only with the Oliver Ameses, but also with Ann and John Swain and Ann’s mother, Sarah Bliss Meader. Mrs. Meader was from Nantucket; she must have been visiting in the wake of the death of little John Swain. 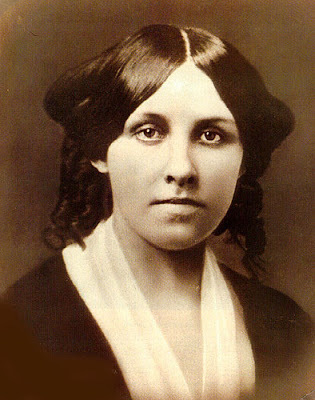 For Louisa May Alcott, a 19th century author who should need no introduction, this was an important day. Some literary sources have it that Miss Alcott, using the name “Flora Fairfield,” published her first story, The Rival Painters: A Story of Rome, on this exact date, when the author was barely twenty years old. However, closer examination suggests that The Rival Painters first appeared back on May 8 in The Olive Branch, a periodical published in Boston from 1836 through 1857. A second story, easily confused with the first, was The Rival Prima Donnas, which was published on this date in 1854 in The Saturday Evening Gazette, earning the author five dollars. Regardless of the scholastic disagreement over the first appearance in print of Louisa May Alcott, we can imagine that Evelina was exposed to her writing at various times from this year onward. Surely Evelina read other short stories and novels by this increasingly famous author. If she developed an affection for the author’s work, Evelina would have read Little Women, Little Men, and Jo’s Boys and been as familiar with the triumphs and travails of the March family as devoted readers still are 160 years later. *A fine resource for readers wanting to know more about Louisa May Alcott is “Louisa May Alcott: The Woman Behind Little Women,” by Harriet Reisen, New York, 2009. “[T]his was a fair good day. it was Town meeting day and Wade Daily was chosen Representative, Free soil.” wrote a pleased Oliver Ames. Although the national election for president had been held the previous week, voting men from Easton gathered to vote on local issues and perhaps to hear the formal results from last week’s election. We must remember that voting, and vote counting, was a manual affair. Wade Daily, elected to the General Court of Massachusetts, was an older member of the community, a veteran of the War of 1812. A “master carpenter,” according to Rev. Chaffin, Mr. Daily was responsible for the erection in 1816 of the church building that housed Luther Sheldon and his congregation. 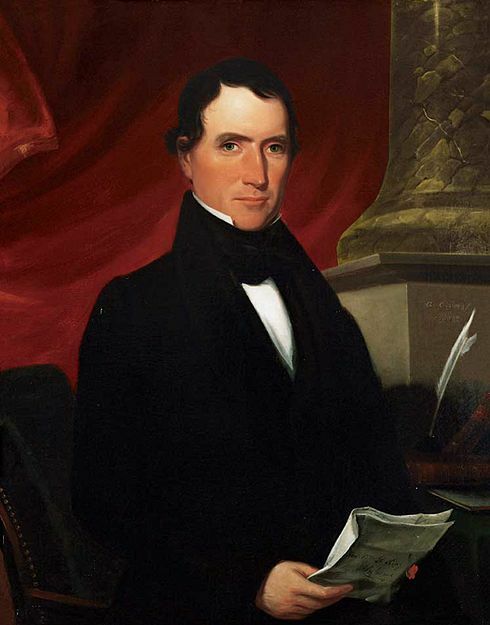 He had also served as a selectman in the early 1830s. As a Free Soiler – meaning he wasn’t in favor of the spread of slavery – Wade Daily rated high in Old Oliver’s opinion. He and his wife of sixty years, Ruth, are buried in the Easton Central Cemetery. Back at home, the women, who did not attend town meeting or participate in the political decisions of the town, were busy in the kitchen washing the weekly laundry and making preserves. All gathered for tea. Because of all the company that had visited over the weekend, the servant girls were unable to launder clothes on Monday. Today, extra sheets and towels were added to the usual load and the washing went on into the afternoon. Not that Evelina rolled up her sleeves; after the midday meal, she and her remaining houseguest, Miss M. J. Alger, went next door to visit with Sarah Lothrop Ames and stayed for tea. All the family partook. At various points during the day, Evelina had her work box open as she completed a pair of undersleeves for her daughter. Susie was “delighted” with them. Were they a peace offering from mother to daughter, perhaps to make up for Evelina’s insistence on Susan learning to play piano? We’ve seen Evelina sewing undersleeves before. 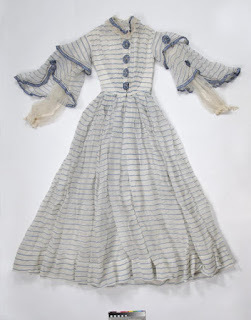 In the 1850’s and into the Civil War, undersleeves were an essential component of any woman’s dress, fitting independently but securely under the looser outer sleeve of the dress proper. Like the collars of the day, a good pair of undersleeves could be worn with different dresses. Susie must have felt rather grown-up with her new pair. On the industrial side of American life, meanwhile, today was the 27th anniversary of the opening of the Erie Canal. The technological wonder of its day, it was already becoming obsolete. Railroads had arrived and, through their own capacity for moving freight, would soon obviate commercial use of the canal for many (though not all) industries. Shipping would change – was changing. The very word “shipping” derives from the fact that, initially, more goods moved by water than by land. This would no longer be true in this country or elsewhere in the developed world. We should remember that Harriet Ames Mitchell, Old Oliver’s youngest daughter, was living in Erie at the time with her husband Asa and their three children. Did they mark the day? This may be the first time that Evelina uses the word “lunch” in her diary. Usually, the meal in the middle of the day was dinner, and it was the big meal. But on Sundays, the routine was changed because, ostensibly, housewives didn’t cook. It was a Day of Rest. The women were at church and had no time to prepare a hot meal between services. Instead there was a cup of tea and a piece of cake at the parsonage or, in good weather, there might be a bread and fruit picnic on the lawn of the church, near the carriages. Early tail-gating, if you will. If a housewife were at home on a Sunday, as Evelina sometimes was, she might end up cooking, especially if she had houseguests. But the norm was no cooking. Lunch, per se, was something different. The word itself was a shortened version of “luncheon,” which was generally accepted to be a small meal that might be held at any time of day, in between two larger meals. For most of the 19th century, luncheons were considered to be the province of middle- to upper-class ladies – hence the phrase, “ladies who lunch.” Cold meats, fruit, pastries and tea might make up the menu for the female meal. Yet as industrialization of the workday took over, replacing the former agrarian practice of a substantial meal in the middle of the day, lunch as we know it became more accepted. Men took their cold meals to work, or warmed up a can of something over a stove or a radiator at the workplace. 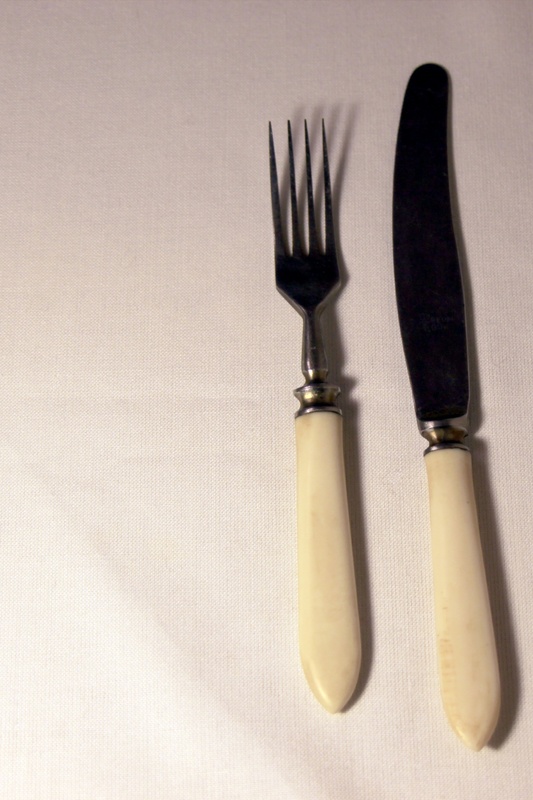 By the 20th century in America, lunch happened in the middle of the day and dinner moved to the evening. In her diary, Evelina was only suggesting that the meal she and her husband shared at a scrub-top table in the pantry was no regular dinner. Little did she know that this simpler midday meal would one day be the norm. It could be that excitement over the new steam engine that was installed yesterday in the Long Shop continued, but Evelina tells us nothing about it. As usual, she maintains a disinterested distance from business matters. Not that she didn’t care, perhaps, but the business was up to her husband, his brother and her father-in-law. Commerce was in their sphere, the running of the household was in hers, and neither she nor her husband crossed the line between the two. 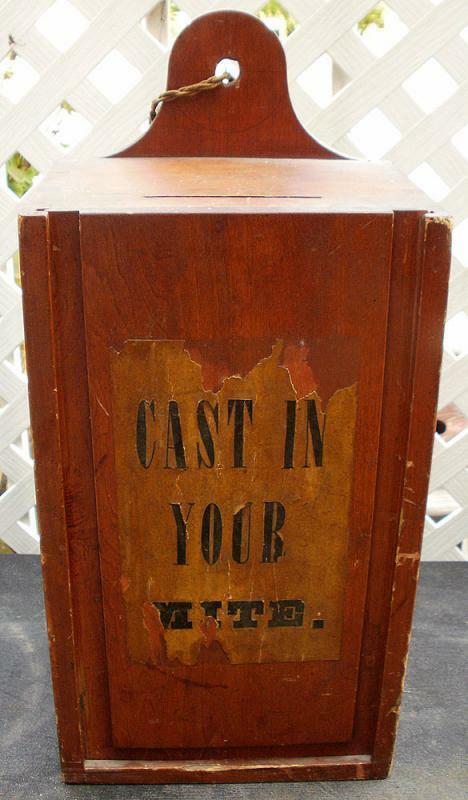 So it was in most households in the middle of the 19th century. “[I]t was foggy this morning but cleard of[f] warm before noon wind south west,”* reported Old Oliver. 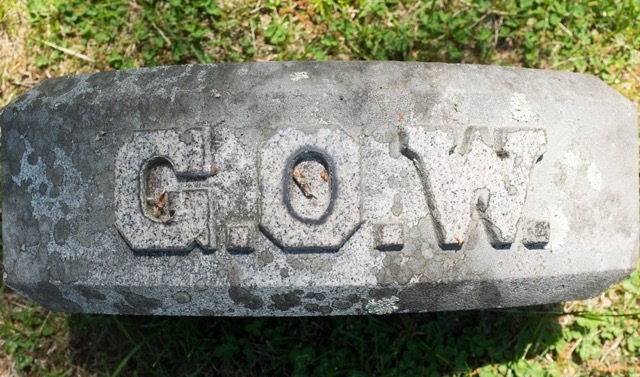 Sarah Ames Witherell and Sarah Lothrop Ames rode together to Norton to select a gravestone for Mrs. Witherell’s son, George, who had died at age fourteen the previous spring of rheumatic fever. The task could not have been pleasant, but perhaps Sarah Witherell found solace in marking her son’s passing in such a permanent way. The gravestone – if it is the one that she picked out, as the grave site was eventually moved – can be seen in the Village Cemetery behind the Unitarian Church in North Easton.